On January 4th 1959, a 50-car procession made its way from the Bronx to midtown Manhattan, for a wedding of Hasidic royalty at the Waldorf Astoria hotel. Over 2,000 guests sat down for the first-ever glatt kosher wedding dinner at the iconic New York City hotel. 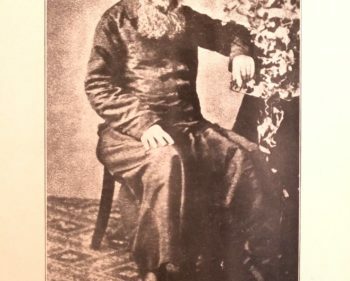 The father of the bride, Rabbi Shlomo Friedlander, the “Lisker Rebbe”, originated in Hungary, and had been renowned for some years as the “miracle rabbi of the Bronx”. And yet, today he is all but forgotten, barely recalled even in the Hasidic community that so celebrates miracle rabbis. Using a kaleidoscope of sources and illustrations, Rabbi Dunner charts the tragic trajectory of Rabbi Friedlander and his family, revealing a story so bizarre that it is truly stranger than fiction. The story of the Lisker Rebbe and his family is taken from the end of a lecture Rabbi Dunner gave in Bet Shemesh, Israel, on January 27, 2019.